update (10 July 2013): South African Airways (SAA) and Etihad Airways codeshare flights are now on sale, SAA announced on 09 July 2013. Under the first phase of the codeshare agreement and with immediate effect, SAA customers can access SAA marketed flights on Etihad Airways scheduled service from Johannesburg to its hub in Abu Dhabi, and onwards across the airline’s fast growing global network to Bahrain, Kuwait City, Bangkok and Kuala Lumpur. Etihad Airways passengers can now travel on Etihad Airways’ marketed flights from Johannesburg to four major destinations on the SAA network, including Cape Town, Durban, East London and Port Elizabeth. Codesharing on scheduled services to other key destinations, including Livingstone, Lusaka, Ndola, Harare, and Victoria Falls is currently pending subject to government approval. According to both airlines, additional codeshare routes will be added in the near future. Kenya: Lewa Wildlife Conservancy & Ngare Ndare Forest Reserve now part of World Heritage Site "Mount Kenya National Park"
The World Heritage Committee approved during its 37th Committee Session in Cambodia (16 June - 27 June 2013) to inscribe the Lewa Wildlife Conservancy and the Ngare Ndare Forest Reserve as extensions of the Mount Kenya National Park, which got declared a World Heritage Site in 1997. The area added to the World Heritage Site lies within the traditional migrating route of the African elephant population of the Mount Kenya National Park and consists of a core of nearly 20,000 hectares as well as a buffer zone of almost 70,000 ha. Rod Stanley and Chris Saunders, a British journalist and a South African photographer, spend two days and nights in Johannesburg to get an idea what the new youth underground in the city is like and to shoot a short documentary about it. They went to poolside jams, rooftop parties, warehouse raves, street fashion shoots and interviewed local artists, musicians, bands, crews and Djs like Chocolate, Dirty Paraffin, Richard the Third, Khaya Sibiya aka Bhubessi, YFM DJ Eda Rose, Desmond & The Tutus, Murray Turpin aka M18J92T and Jamal Nxedlana. Enjoy the great 8min snapshot of South Africa's new youth underground! Kudos Rod and Chris! Free digital brochure "Remarkable Rwanda"
Published on behalf of the Rwanda Development Board (RDB), the free digital guide "Remarkable Rwanda" is giving the reader an interesting overview on Rwanda as a tourist destination. The topics in the 72-page guide are ranging from the national carrier of the country, Rwandair, the capital Kigali, the country's national parks and the gorillas in Rwanda to information about cultural tourism in the East African country. If you are planning to visit Rwanda, browse through the guide and get to know the country a bit better! Enjoy! Uganda: Hotels not excluded from VAT anymore; rates to increase at least by 18%! @travelcomments @Guide2Uganda As far as we have been informed this is still only a proposal ad has yet to be passed by parliament. Effective from 01 July 2013, accommodation establishments in Uganda will no longer be excluded from the 18% value added tax (VAT) usual in the country. Travellers planning to visit Uganda, as well as travellers who have already made bookings in Uganda for visits after 01 July 2013, must expect that the by then mandatory 18% VAT will come on top of the rates at all hotels, lodges, resorts, hostels etc. The decision to end the exemption granted for accommodation establishments was announced by the Minister of Finance in Uganda, Maria Kiwanuka, during her presentation of the 2013/14 national budget to Parliament at the Serena Kampala Hotel on 13 June 2013. According to the latest statistics released by the Department of Environmental Affairs, South Africa has lost 446 rhinos to illegal poaching since the beginning of 2013. Of the rhinos poached, 280 rhinos were killed in the Kruger National Park, 50 in North West, 45 in Limpopo, 38 in KwaZulu-Natal, 30 in Mpumalanga, 2 in the Eastern Cape and 1 in Gauteng. The number of people arrested on rhino poaching-related charges countrywide totals 129. Of these, 58 have been caught in the Kruger National Park. Five alleged receivers have been arrested. Obama will arrive at Air Force Base Waterkloof (IATA: WKF), situated on the outskirts of Pretoria. Michelle Obama will visit the memorial to the embassy bombing at the US embassy (686 Old Bagamoyo Road, Msasani). Michelle Obama will attend a performance by the Baba wa Watoto troupe, which serves underprivileged boys and girls between the ages of 5 and 18 years old. Obama will be going to the US embassy (686 Old Bagamoyo Road, Msasani) and will also be laying a wreath at the sight of the memorial to the embassy bombings. Michelle Obama will participate in an African First Ladies' Summit (Investing in Women Strengthening Africa) in Kivukoni which is going to be hosted by the George W. Bush Institute, including Laura Bush. At the summit, first ladies from across the continent (Zuma's wife Nompumelelo Zuma will be there #justsaying) will gather to focus on the important role that first ladies play in promoting women's education, health and economic empowerment. For the first time in about 100 years, wild cheetahs have been reintroduced to the Free State in South Africa as part of the Endangered Wildlife Trust's (EWT) Carnivore Conservation Programme. Two male cheetahs, born in July 2010, got released into the privately owned Laohu Valley Reserve. Both cats are coming from the 5,700-hectare Amakhala Game Reserve in South Africa's Eastern Cape and have been roaming free from birth, hunting and fending for themselves. A female cheetah will get introduced to the Laohu Valley Reserve in near future, so that the province will hopefully see the first wild cubs born in over a century pretty soon. 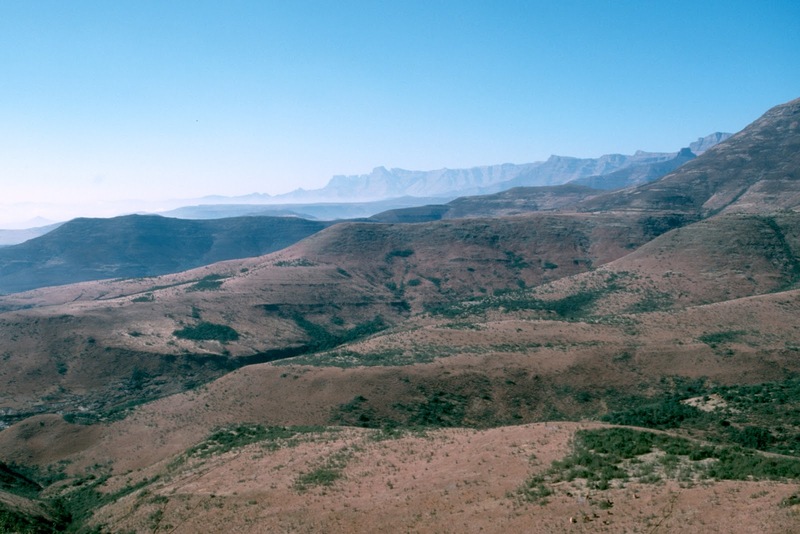 The Laohu Valley Reserve, located near Philippolis, is the largest protected area in the Free State. The 350km² reserve is known for its ambitious tiger rewilding and reintroduction project in a last-ditch effort to save the South China Tiger from extinction. According to the Endangered Wildlife Trust, cheetahs have been reintroduced into approximately 48 reserves across southern Africa for tourism and ecological reasons, and 272 cheetahs, sourced from South Africa and Namibia, currently occur in fenced reserves. 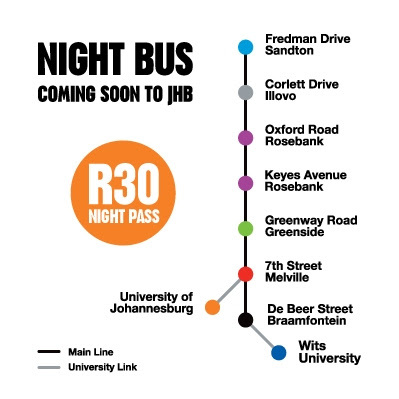 update (26 Sept 2013): Due to certain circumstances, the launch of the Night Bus in Johannesburg had to be postponed to early 2014.
update (15 Aug 2013): Night Bus is set to launch on 28 Sept 2013! Great news for travellers (and, of course, for locals) looking to party around Johannesburg. From September 2013 the so-called Night Bus, Johannesburg's first fixed route night transport network, will make bar-hopping super easy by connecting almost all of the city's nightlife hotspots. Tickets are expected to cost R30pp for unlimited rides in one night (19:00 - 04:00) and buses are set to arrive every 20 minutes along the same route. Each shuttle will carry up to 24 passengers and a security officer. Alcohol will not be sold and allowed on the buses. Check out Night Bus' facebook page for more info! 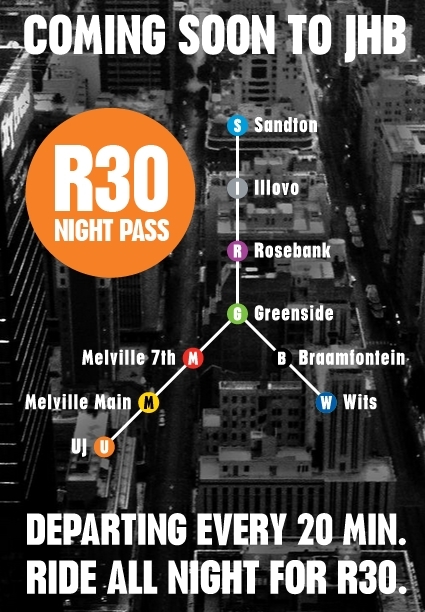 The Night Bus crew is currently revealing each of the nine official stops along launch their route through Johannesburg. We'll keep you posted! South Africa: Great white shark population smaller than estimated? According to a study conducted by the Dyer Island Conservation Trust using dorsal fin identification and automated software, the great white shark population in Gansbaai in South Africa is way smaller than previously thought. The number of great white sharks in the area was estimated at 2,000 animals, but the findings of the research indicate that the real population could be at 50% lower. Video: "Kruger Lowveld - It's in our nature"
If you are currently planing a trip to South Africa and thinking of spending time not only in Kruger National Park, but also in the surrounding Lowveld, you don't want to miss the promotional video "Kruger Lowveld - It's in our nature". The video covers the entire region and points out where to go and what to do in this part of Mpumalanga. Enjoy! Kudos South African Natural History Unit (SANHU) & youtube user Chris Fourie-Lipman! The National Airports Corporation of Zambia has introduced a new Infrastructure and Development charge (tax code: RM) in addition to the current departure tax (J1) and security tax (QJ). All passengers departing from the airports in Livingstone, Mfuwe, Lusaka or Ndola are now required to pay it, effective immediately. International passengers departing from these airports will be required to pay ZMW 52.8 (currency converter) and domestic passengers, ZMW26.7 (currency converter). Tickets issued before 15 June 2013 will be exempt from the new tax. Schedule passengers with a ticket issued after 15 June 2013 booked via one of the major Global Distribution Systems (GDS) will have the tax included in their ticket. You can check on your ticket to see if the tax is included under the tax column. The World Heritage Committee decided during its 37th Committee Session in Cambodia (17 - 27 June 2013) to inscribe the Sehlabathebe National Park in Lesotho as an extension to the uKhahlamba Drakensberg Park in South Africa. The World Heritage Site's new name is Maloti Drakensberg Transboundary World Heritage Site. 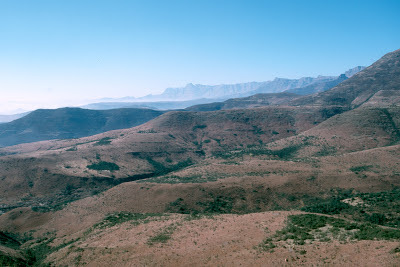 Sehlabathebe National Park is covering 6,550 hectare and consists of a spectacularly beautiful watershed area that hosts flora and fauna of scientific importance, such as the Maloti Minnow, a critically endangered fish species only to be found in the Park, the Cape Vulture (Gyps coprotheres) and the Bearded Vulture (Gyps barbatus). The park's African Alpine tundra ecosystem with its 250 endemic plant species significantly enhances the value of uKhahlamba Drakensberg Park. It also features important rock paintings made by the San people who have been living on the site for 4,000 years. Great news for football/soccer fans in South Africa. English Premier League club Manchester City FC will tour the country in July 2013 and will be playing matches in Pretoria and Durban as part of the Nelson Mandela Football Invitational. The club will face SuperSport United FC at Loftus Versfeld Stadium in Pretoria on 14 July (15:00) and AmaZulu FC at Moses Mabhida Stadium in Durban on 18 July 2013 (20:00). Manchester City FC are set to arrive in Durban on 11 July 2013, where they will begin their training ahead of the two matches. Tickets for the two matches, priced between R150, R250 and R350, will go on sale at Computicket from 25 June 2013. According to various newspaper from Zimbabwe, Air Zimbabwe has been re-admitted to the International Operational Safety Audit (IOSA) program of the International Air Transport Association (IATA) after complying with the aviation body's minimum standards. The international industry trade group of airlines suspended Air Zimbabwe from the International Air Transport Association in September 2012 after the airline had temporarily discontinued operations and failed to conduct the audits which must be carried out every two years. The IATA Operational Safety Audit (IOSA) program is an internationally recognized and accepted evaluation system designed to assess the operational management and control systems of an airline. All IATA members are IOSA registered and must remain registered to maintain IATA membership. Free digital guide: "Windhoek City Guide"